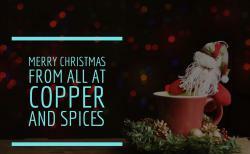 We love Christmas at Copper and Spices. Why not treat your family and friends to our special Christmas Menu. Our Chefs just like Santas elves have been busy prepairing a special Menu for you. Check here to view our Christmas Menu.